There are many times when you wanted to unblock sites that are censored. The internet should be free for everyone, and that’s why our Web Proxy Browser is here to assist. With our help you can unblock websites for free, all you have to do is to install the app right away. Once you use the Web Proxy Browser, you will get to access a free proxy service and visit any website in the world without tracking. This is a great and easy to use VPN browser that allows you to access any website in the world without being stopped. It’s a simple, creative way to unblock websites fast and easy. When can you use Web Proxy Browser? You can use our web proxy app whenever you want to unblock sites in your country. 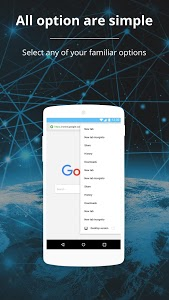 In addition, our app is a stellar VPN browser that allows you to protect your privacy online. You can easily bypass website firewalls, browsers will not track you and you can easily browse anonymously. 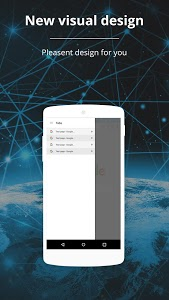 No one will know your IP and where you are from, and you can easily use this app on whatever phone you want without any restrictions. Setting up a web proxy can be quite the headache. That’s especially true if you want to use a free proxy. 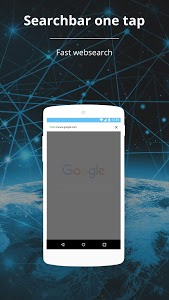 Web Proxy Browser makes the process easier by setting things up automatically for you. You just open the VPN browser and unblock sites you want to open fast and easy. It’s a very convenient, unique system and one that you will enjoy a lot. The next thing we will do is dynamic IP switching, which means you can get a new IP assigned every time you use our proxy browser app. Web Proxy Browser doesn’t record anything. It’s a complete VPN browser designed to help you unblock sites. It’s very fast, convenient and it enables you to browse the web whenever and however you want without restrictions. And then best part is that you can use the app as a normal browser. You can even unblock social sites if you want! Why should you use Web Proxy Browser? · Very secure, there are no logs kept and you can access whatever website you want. · Powerful SSL encryption, which means your connection is very secure and reliable! If you need a powerful, SSL encrypted proxy browser, don’t hesitate and give Web Proxy Browser a shot today. We are here to help you protect your identity and browsing history, all while helping you access blocked content. Check out Web Proxy Browser today! Similar to "Web Proxy Browser. Unblock sites"